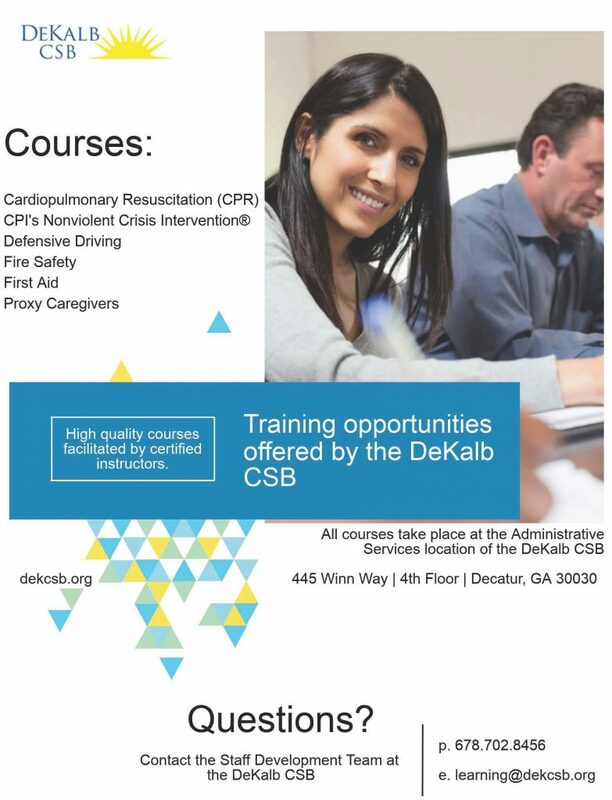 The DeKalb CSB provides a wide range of behavioral health revenue cycle and operations consultation services. With over 20 years of experience in a complex regulatory environment, the DeKalb CSB has developed proven techniques to increase reimbursement rates and improve quality of care. Consultation services can be tailored to meet your agencies needs whether it focuses on human resources, IT, quality improvement, finance, utilization management, or staff development. 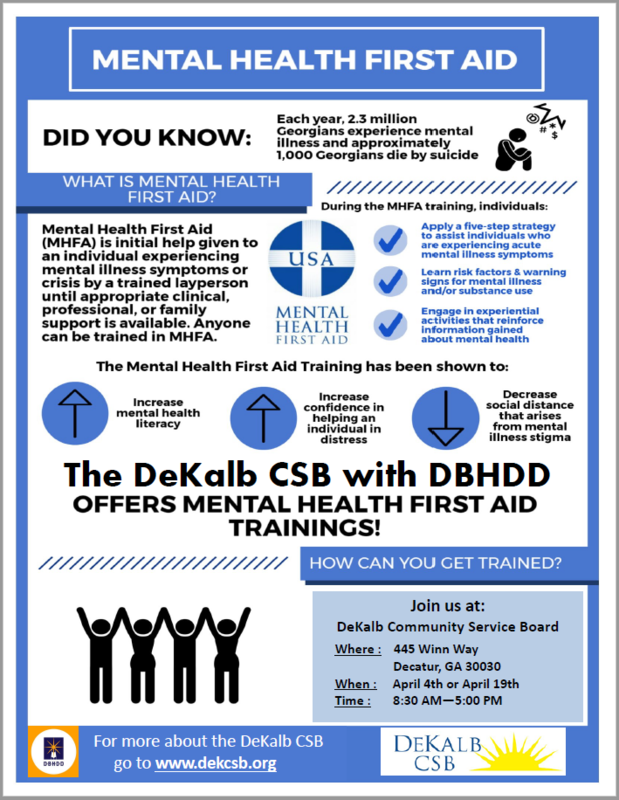 Click HERE to register for the DBHDD trainings hosted by the DeKalb CSB. Click HERE for training classes, schedules, and classes prices. Click HERE to register for a training class.